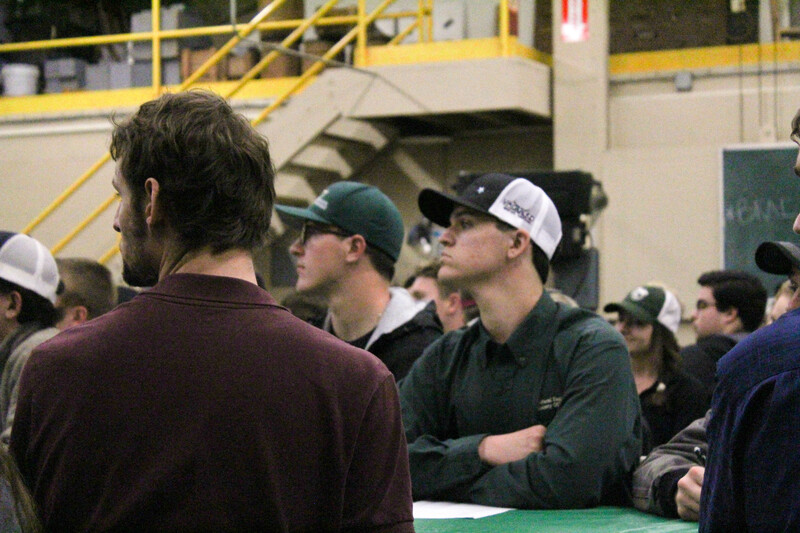 The Ag Engineering Society (AES) hosted the BioResource and Agricultural Engineering Department career fair Feb. 7-8 in the Cal Poly Farm Shop located on the southern end of campus. 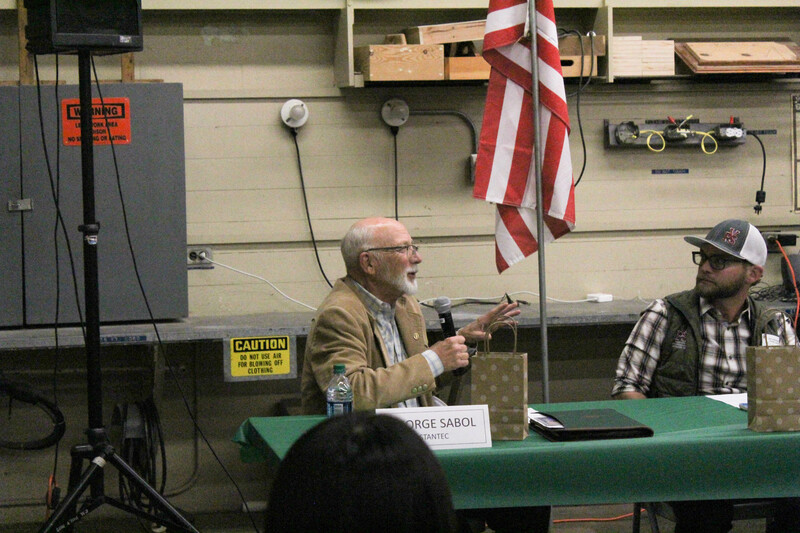 For more than 30 years, this event has been held at Cal Poly for Bioresource and Agricultural Engineering and Agricultural Systems Management students. Vicky Duran, AES’s career fair chairperson, the AES officer team, advisors, and staff including Administrative Support Coordinator Tina Pedersen collectively executed the event for the students this year. The career fair featured more than 25 companies recruiting for both full-time and internship positions with more than 120 students in attendance. The companies ranged from construction industry to irrigation management featuring; Acme Engineering Inc., Aerotek E&E, Ag Industrial Manufacturing, Blue River Technology, Cannon Engineering, Capay Organics, Coastal Manufacturing, Deerpoint Group, Inc., E.J. Gallo, Fastenal, GEI Consultants, George Cairo Engineering, Inc., Granite Construction, HCL Machine Works, H.G. Makelim, J.G. Boswell Company, Lodi Irrigation, Main Street Farms, Nelson Irrigation, OMC, PepsiCo, PowWow Energy, Preston Pipelines, Provost & Pritchard Engineering, Rain for Rent, RDO Water, Sensient, Sunview Vineyards of CA, Inc., Tasteful Selections, Tulare Lake Compost, and Vineyard Pro Services.